PARIS — Paris Saint-Germain is backing its fans accused by British police of violent behavior ahead of a Women's Champions League match in London. 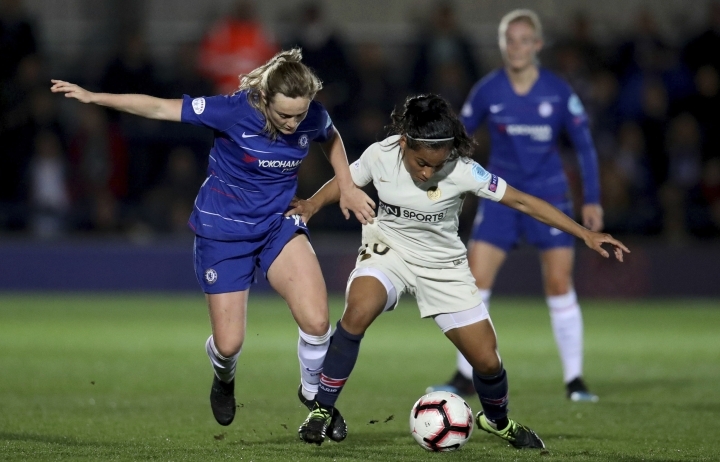 The club says in a statement on its website that British authorities offered no proof that PSG supporters' behavior warranted their exclusion from the quarterfinal first-leg match against Chelsea on Thursday at the Kingsmeadow Stadium. Chelsea won 2-0. PSG says its fans were all searched and that had they broken the law, they wouldn't have been allowed to return scot-free to France. The club is expressing "our complete support to Paris Saint-Germain fans who, midweek, organized their schedule to come and support our women's team and we are counting on their fervor for the return leg." British police said PSG fans were accused of causing criminal damage and of sporadic disorder and that a search of a bus transporting fans found knives, knuckle-dusters, and illegal drugs.